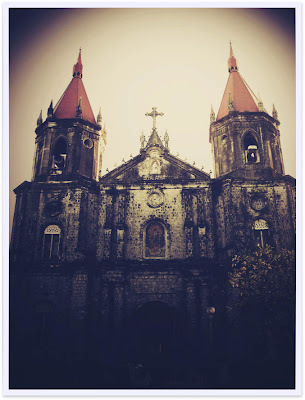 Last week, I embarked on my first solo adventure out of Luzon. Due to some unfortunate circumstances, the Cheesewas not able join me in this trip nevermind how long we've waited for this. Alas, still nursing a slight fever from the past week's illness, I almost did not wake up in time for my flight. Thank goodness for unlimited calls. And so I flew in Iloilo without the slightest idea of where I will be staying nor where I will go. Okay. So I do have a little but those notes are not sufficient enough in my opinion. So I spent the whole morning walking around Iloilo City, feeling (and figuring) my way around while looking for a place to stay. My feet and back killed me from too much walking (I had a heavy backpack), I was slowly becoming irritated. The down side of traveling alone is this: hotel rooms are always expensive because you have to shoulder everything. But of course, I did not let all that dampen my mood. 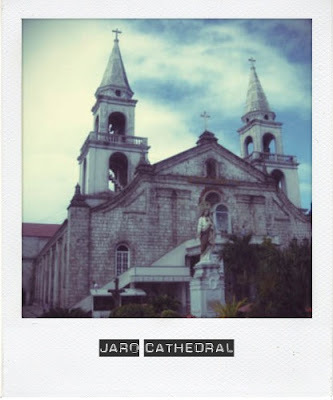 I took a jeep to Jaro to also take a look of a place to stay, went to a museum before going to city proper. After finally scoring a decent enough inn, I took a nap. Yes a NAP. I was so darned tired forgive me. 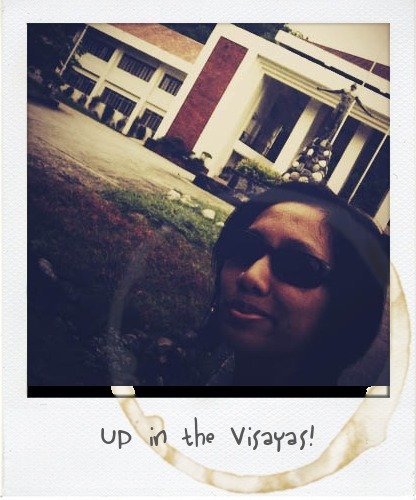 They have a really cool campus ha, with provincial effects and all! But I have to say. My trip to Miag-ao the day after made me appreciate this whole thing of traveling alone. There's a certain kind of freedom and sense of achievement one can get when traveling alone. You know, fending for yourself and relying to strangers' kindness to get you through it all. It's all liberating for me. Yes I admit it gets really sad knowing that you cannot share the experience with your friends or special psomeone but hey, I believe that this is one thing that everyone should do at least once in their life. Next on my list: a trip alone outside Philippines yeah! ang lungkot naman nun! ayaw ko out of the country mag isa, sayang lang pera! Well, magkaiba tayo ng perspective sa buhay. At first hindi rin. Ika nga ni Christopher McCandless, "happiness is only real when shared". Lagi kong naiisip ang mga taong sana nakikita din ang nakikita ko hehe. But it's good, every once in a while. Go hop in a bus na! ang saya ng mag-isa noh! Talaga?? e kasi wala talaga sa plano ko eh. pwero kung natuloy kami ni JC mag-Guimaras tlga kami eh huhu. Magkano trike? Once in a while lang naman ang mag-isa. Chris McCandless took it too far and practically lived and traveled in solitude the whole time.